WHAT UP, SWAGS?! : German Swag 101: Updates & Free Stuff! German Swag 101: Updates & Free Stuff! It's been eight months now since we said au revoir to France and moved to Germany. Do I miss France? Everyday. Do I like living in Germany? Dang it. Yes. This year has ended up being another crazy year of trips. I'm not trying to scavenge around for vacations; it just happens when I'm inspired by free time and very close and cheap destinations. I've also been inspired over and over again by the travel blogging community. I've learned how to code a website this year, attempting to emulate my favorite design aspects of every blog I've had the privilege of reading. That being said, I realized I was missing something very important. I was missing a "freemium." When I published Four Year in Paris back in August, I chose to sell it for profit instead of just giving it away. I don't regret this decision; it was many years of work and it is priced at a fair value for an eBook. But now I am so happy to announce that I do indeed have a new eBook to just give away. Totally for free. I chose to write about how to move abroad. I know many of you are already living abroad, but we all know a friend or family member who wants to move overseas. Even if you're already abroad, you can check out the eBook because...it's free! I love free stuff, and now you can download 8 Steps to Move Abroad Now by simply subscribing to my monthly update. When you get your copy of 8 Steps to Move Abroad Now, inside is a link to a bonus PDF on 10 Ways You Can Live Overseas. Did I mention that when you've subscribed and received these free resources that you'll also get a free GPSmyCity app code?! I wasn't kidding about the free stuff!! 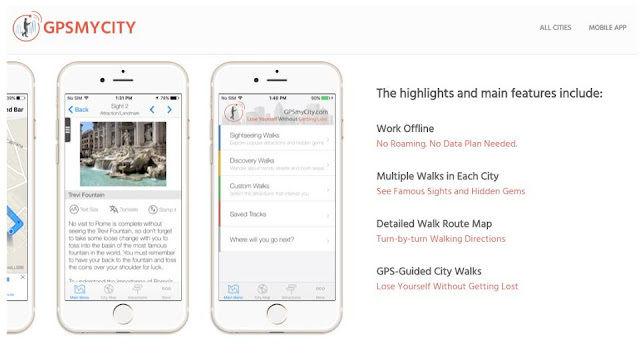 GPSmyCity is a map app for Android and iOS devices. I only have 10 codes left to give away, at a $5 value each! You choose the city you want from this list, and you gain access to all of the walking tours in that city. I've had a phenomenal experience with GPSmyCity so far in Salzburg, Vienna, and Ljubljana. Budapest will be next! I think the coolest thing about us moving to Germany is how many new places really opened up to me. I have also realized that Paris is sort of close to London, Brussels, Amsterdam...and nothing else. Munich, on the other hand, and where we are more specifically in Vilsbiburg, is so much closer to so many more places: all of Germany (obviously), Austria, Italy, Czech Republic, and Slovenia, to just name the countries I will have gone to this year. You can read all of my German Swags 101 posts here. Learning German has been a fun hobby, but I would really like to struggle with it more next year. By "struggle," I mean having no choice but to speak it in a job setting, asking my teammates to pretend they don't speak English, and really hacking it out with my German teacher, Irene, and language exchange buddy, Amirah. Germany has blessed us with completely new opportunities and inspiration. My volleyball knowledge and skill set have increased exponentially in ways I didn't know possible as a 30-year-old athlete. We have a great apartment right between the town center and the gym. We both have made amazing lifelong friends already, and we think there's a really good chance we will be able to continue those relationships by staying here for a long time. I know this Travel Tuesday post isn't maybe as "go here, do this, eat that" as my other posts, but an update on my life abroad is more about travel as a lifestyle than anywhere I could ever go on a vacation. Thank you for reading, sharing, and commenting these past few months! It has been a pleasure getting to know all of you, and I hope we can continue to enjoy our passion for travel together! Next week will be my last week as a Travel Tuesday host. I will be spending May and June frolicking about Paris, Seville, and the south of Portugal. It can be a good thing to not have the time to co-host a link-up; it means regular life is just too busy and the wifi is happily unreliable! Next week I will be announcing my nomination for my replacement as a co-host and sharing my favorite moments from my recent adventure in Ljubljana! Next week is also this month's themed post of "Hidden Treasures," zoned in on hidden treasures of a particular location or region. It would be really great for you to spotlight off-beaten path things to do where you live (or are from)! The Travel Tuesday link-up is now live! Join me and my cohosts, Bonnie, Diana, and Rachel below! 3. Include a​ (vertical 735px x 1102px)​ pinnable image in your blog post; as at least one of the co-hosts will be going around pinning your posts! 4. HOP around and meet new travel loving bloggers! Check back to visit some of the newer travel posts! 5. 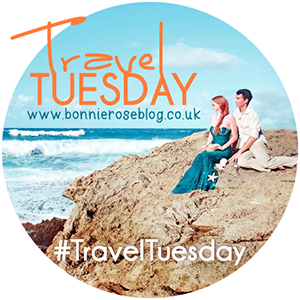 Don't forget to use the #TravelTuesday hashtag on your social media platforms!